The little cottage stood out against a bleak skyline, forlorn, empty, neglected and overgrown. After a three-year search, could it be just what a retired English couple were looking for as a holiday home of their own? 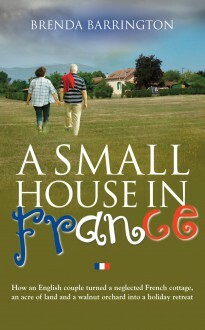 A magical holiday to rural France with their children some years before had sowed the seeds of a daring plan for Brenda and Ray Barrington – to spend the early years of their retirement buying and restoring a cottage in the French countryside for use as a maison secondaire. Their budget and time were limited, but their enthusiasm and determination were boundless. The couple soon found themselves deeply engrossed in their dream project and discovering the full ramifications of owning a rural property deep in the land of wine and haute cuisine.